It’s a little hard after watching Project Wild Thing film not to be enthused about the outdoors ! David Bond’s longing for his kids, nay, all of society to play, to be well & be fully connected with our ecosystem is so palpable. He’s so earnest, so spot on. We don’t need more iPads. We just need to roam in the green and the gritty. And there’s good reason to be so earnest, as nature-deficit disorder is such a profound, hidden problem of our time. But I won’t go into that now (if you want more you can read my post on “nurtural parenting” here)……. As a result of watching the film, my teens spent a few good hours out in the street. They climbed dozens of jacaranda trees. It evolved into a major tree-climbing-crawl all up & down the street. 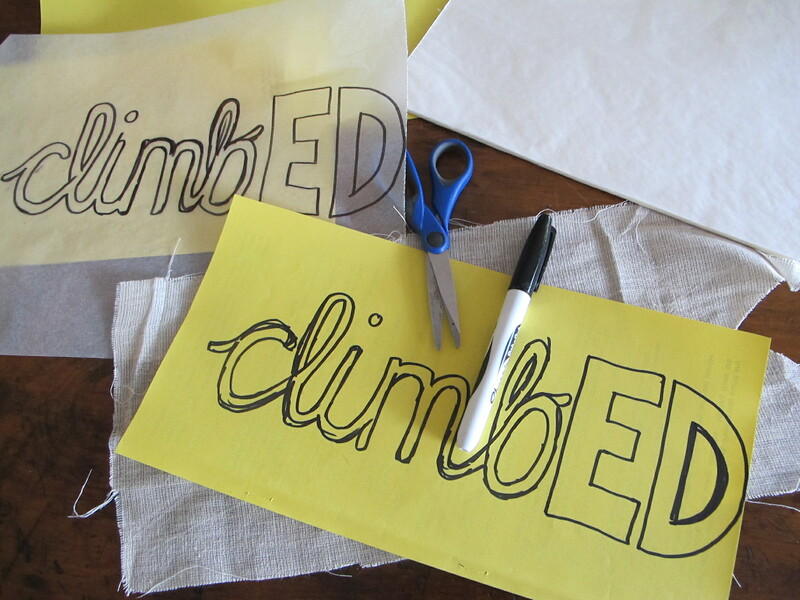 An amazing conversation evolved about what defines “climbing”. Does hanging count? Even if it’s close to the ground? Is it based on risk, or falling potential? Does it have to constitute a certain height? Do the feet have to touch the tree, is hanging included? What transpired I thought was quite glorious. They defined the action, the moment of having climbed a tree as any time you sense you’re far enough removed from the ground that it “feels like you’ve escaped gravity”. Not a distance, not the likelihood of falling. Harm didn’t enter their mind. In fact climbing can be achieved by not being very high up at all and it CAN involve hanging (well, according to my kids). So we did an experiment – and independently they both agreed on certain states of being in a tree that were definitely climbing and certain ways of being in a tree that definitely weren’t……it was truly fascinating……. It was a feeling. An innate feeling. Thinking back to my own childhood, I think I can recall exactly what they meant. It might have to do with the fact that for thousands of years, climbing trees was a way to save ourselves from predators. It might be that possibly millions of instances of past memories are embedded in our DNA. That this memory, this intuitive wisdom has been passed down from thousands of surviving ancestors, for whom without their “abili-trees” (kids pun) we would not be here. So with the kids way ahead of me in this dialogue – they came up with the idea that you could claim a tree, put your stamp on being able to have climbed up a certain one – and it always elicits a sense of pride & dominance. And with that, coupled with some final sparks of childhood imagination (they are 12 & 15, so there’s not much left) they conjured up the idea that a flag, a mark of triumph over a tree meant you’d slayed the dragons, overcome a potential threat, defeated an imaginary ground-hugging enemy. Climbing in their minds suddenly assumed much greater importance. “WE SHOULD TELL EVERYONE ABOUT IT !” (This came from the 15 year old). Hence we came up with the banner. 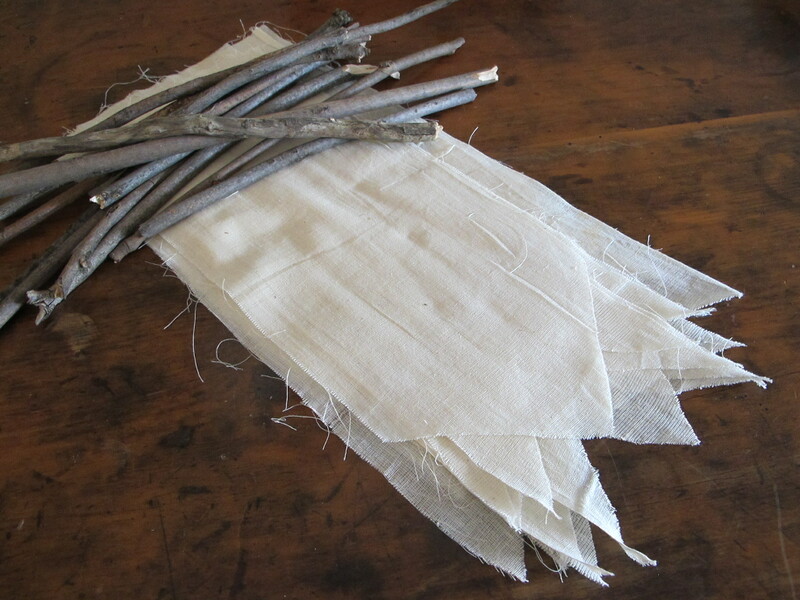 A biodegradable flag, made by the climber, with sticks collected from the trees would be an appropriate badge of honour, a public (but anonymous) reminder that we can still defeat predators, we still have little remnants of wild in us and that it’s an inherited characteristic to be proud of. I might just do a few myself. Where have all the “sewing rooms” gone?